It is almost impossible to find someone working in digital marketing, who wouldn’t agree with the statement that ‘effective content identification and creation is one of the most important elements of digital success’. Yet comparatively few companies are creating content that really works, and this article will help fix that. Content ideation can be as simple as answering questions that front line staff frequently redress or comparing one product or service to another, but it is important to substantiate gut feel with data-driven insight and expertise, and give your content a better chance of delivering returns from your investment (whether the investment is time or monetary). To prioritise the right kind of content and turn a good idea into a functional and effective content output (regardless of the medium), you need to understand your audience, be aware of the external environment, and maximise all of the relevant data. Google Search Console (GSC) query data: Each month take a look at the latest search query data. See what your audience needs are, how they are searching, what questions they have, and how much of these requirements are catered for with your website. 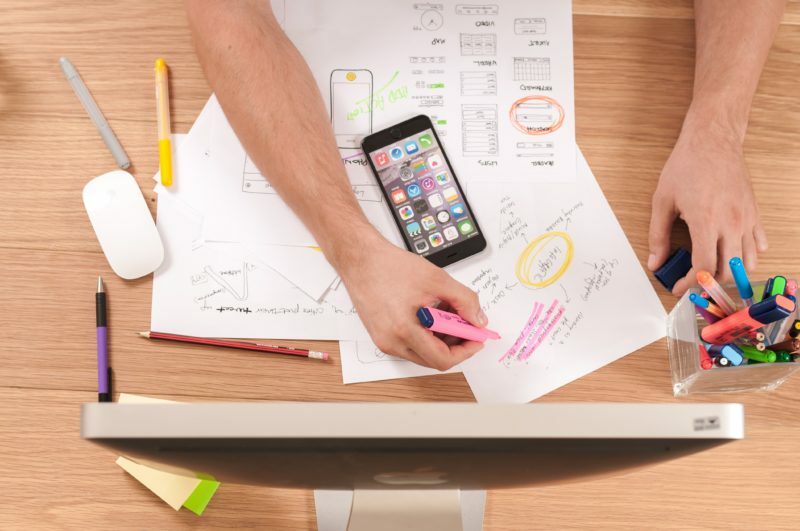 Competitor analysis: Your competitors will also be investing in content creation, marketing insights, data platforms and digital expertise, so take a moment to leverage some of their insight and content outputs to fill gaps in your own marketing calendar. Always look to create content that is the best example available, don’t scrape or create similar content items to your competition, always strive to be the best. Repurposing existing content: Often this includes adding to existing content based on fresh data, new consumer insight, or simply adding and expanding value to what’s already in place. If your site is text heavy consider alternative content types, as these often have distinct and disparate audiences ready to get your brand in front of. Google Answers & Knowledge panel: Creating content to fulfil new Google opportunity can be a fantastic means to keep your content relevant and reflective of your audience needs (Google Answers is a great, immediate insight into this area), as well as a means to drive new visibility and traffic to your website via search engine updates. Answerthepublic.com: For early stages of content ideas, this site is a great help. Simply type in a keyword, topic area, or overview term, and answerthepublic.com will provide hundreds of content suggestions in a matter of seconds. The refinement and application of these ideas is important, as this will turn a common set of content concepts into something truly valuable and unique to your target demographic. There are a number of readily available content tools which can help in the ideation, measurement, and initial creation of content, but before looking at content aids, you need to consider the primary requirement for content and ensure your content process includes a planning phase. Often content processes go from ideation to creation with limited, if any, actual planning phase involved. The planning stages of content creation do not need to be exhaustive, but they should include; a brief, the purpose of the content, the intended outcome from the content, deadlines, resource/expertise/budget needed, target audience (who the content is for), as well as means to measure the effectiveness of the content, and a date to revisit and refine it. 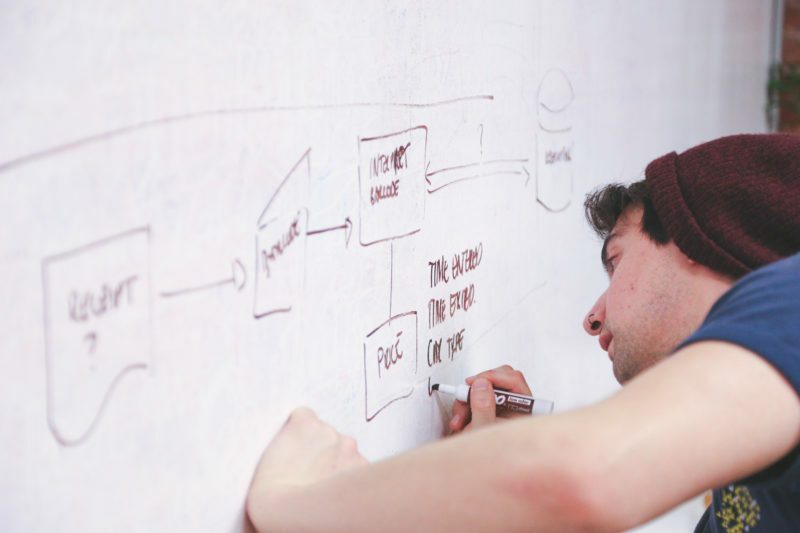 Content planning doesn’t need to be more that a whiteboard with notes, a few post-it-notes on a desk, or an Excel file/Google doc accessible to all required stakeholders in the project. The approach you use, the technology and tools will differ, but the important aspect of this is ensuring planning happens and that it is effective for your needs. Creating content is easy. Creating content that works is much more challenging, but it is not impossible. Below are a few of my top tips for creating effective content. Data fed and expertise led. 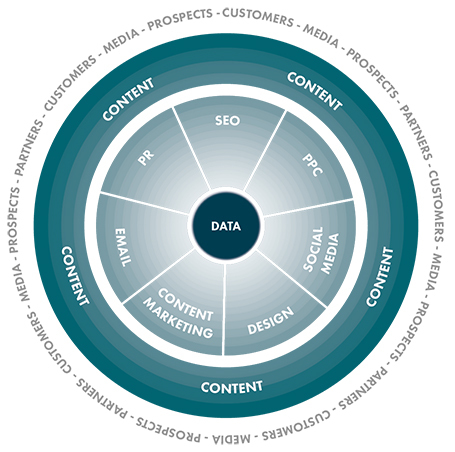 Data needs to be placed at the centre of content creation. It is the data-driven insights that enable experts to relate to their target audience, understand their wants and needs, and deliver content that is a close match to what their website visitors are looking for. From closely matching search behaviour and intent to pitching content that engages the audience, data is the core factor. The following model from the company I work for, Vertical Leap created the ‘radiant model’ (below) which explains this concept in the context of informing digital content decision making. Measure and refine. Any new content being added to a website needs to be considered as one stage of the process and not the end result. Only once you create content can you start to gather key performance indicator success, and targeted user data to use for incrementally improving and refining the content to make it work harder, smarter, and perform to a more optimum level. It is easy to add content to a site and leave it to perform (or not), however, setting a date to compare outcomes to projected/desired gains, and analyse fresh data sets for next stages of content updates are imperative for getting the most out of your content. It is easy to add content to a website and leave it to perform (or not), however, setting a date to compare outcomes to projected/desired gains, and analyse fresh data sets for next stages of content updates are imperative for getting the most out of your content over the longer term. Effective content is like a bicycle; it can maintain some level of momentum after initial interaction without ongoing input and energy, but the momentum will waver fairly quickly and it will stop altogether without continued input and intervention. The same is the case with content. Repeat success. Every website and audience are unique, and within your data (take a look at Google Analytics for post-click data and Google Search Console for pre-click data) are frameworks for creating effective content that you are yet to identify and utilise. As a simple step, consider your top impressions, traffic and ROI landing pages. Group top performing content into logical themes/types. Look at the content elements that are consistently present within these content top performers, and take a note of them. Use this information to create a framework (likely several loose template frameworks) that can be emulated and repeated for wider content success. Remember to review and refine these frameworks based on new data collected, as you will not want these to restrict your content success, but support it with an approach you know has worked historically. First – Take a look at the suggested ways to find content ideas that work, use your own data and competitor insight to create content that has a greater chance of delivering results. Second – Put together a content plan, ensure this is shared and communicated with all of the key resource and stakeholders for your content projects. Next – Ensure that the content you deliver is fed by data-driven insights, and once the content goes live, measure and refine the content to keep momentum going and to improve the content value based on newly accessible and changing information. Lee Wilson is the Head of SEO for Vertical Leap, a UK Search Marketing and Digital Agency that offers the most effective and thorough search marketing service in the UK, helping companies maximise their online visibility. SEO Health Check – Can we future-proof our sites? It can be hard to choose what content to make especially with the billions of other content in the internet. Certainly, benchmarking and analyzing your competitors help a lot. But I think the best way is your #1 tip, searching what your audience need and like to see. Good work Lee! Hi Emmerey, thanks for your feedback and glad you enjoyed the post. Any tips not on here which you would add? Just interested in your thoughts :).